The Grand Soleil 40, designed by Massimo Paperini was without a doubt one of the most successful sail yachts of the 2000s, and among the best-selling models by the Cantiere del Pardo shipyard. Our Philine-Oscar has a 11.90 m (39) length, and a 6,800 kg (15,000 lb) displacement. 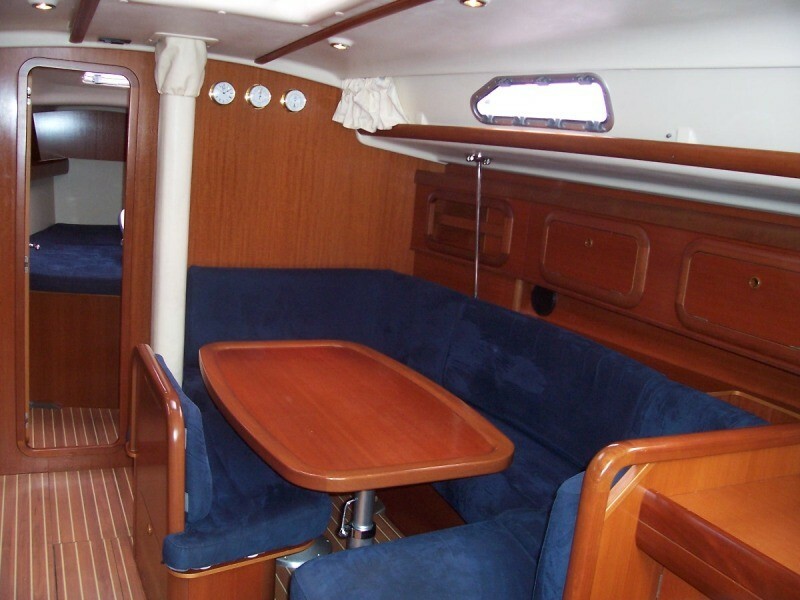 She is equipped with a 40 hp Yanmar which allows cruising speed in excess of 7 knots. 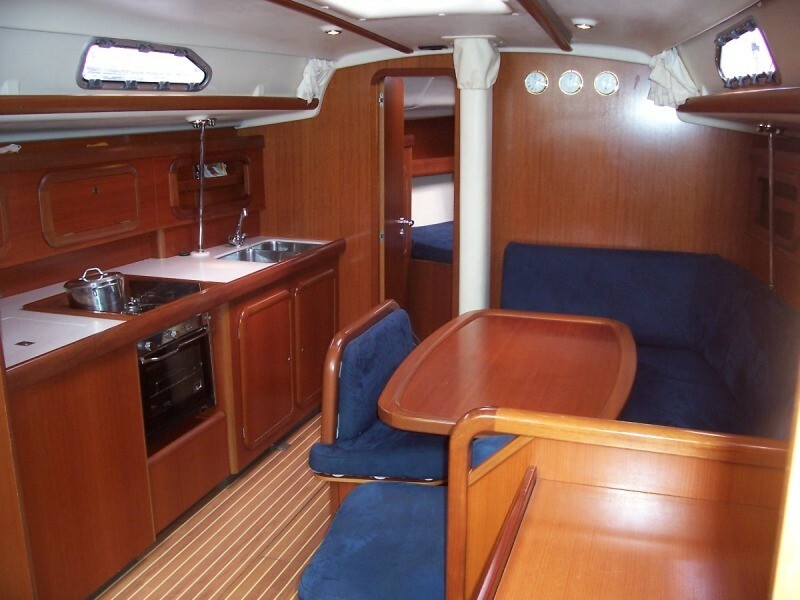 The strongest feature of this boat, and the reason why she is so often chosen for charter, is definitely her sailing performance. 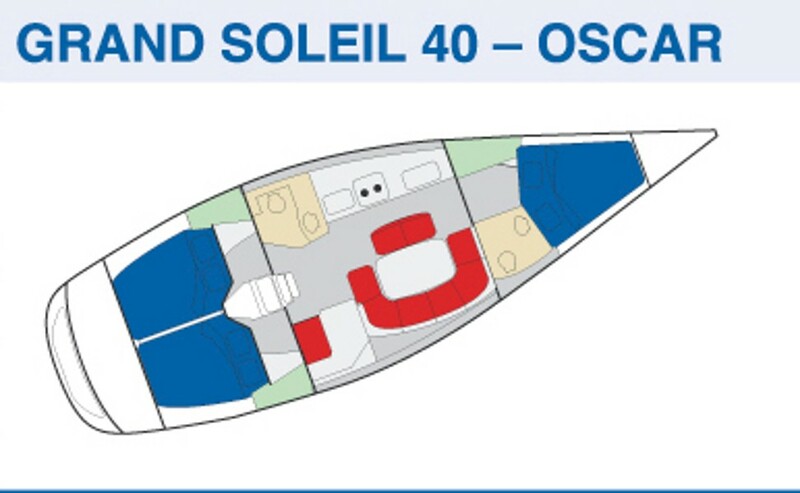 If you are looking for exciting sailing, this is the boat for you: at all points of sailing, Philine-Oscar will fulfil your sailing desires. Gennaker is optional. This vessel is in great shape, thanks to a careful maintenance and refitting interventions. 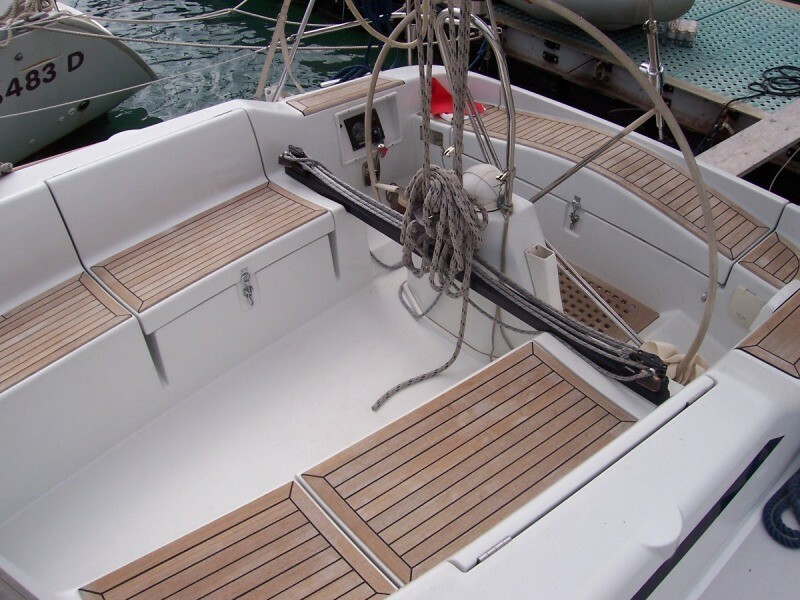 In fact, in 2008 she was equipped with a new mainsail, in 2009 the canvas of her bimini top and spray hood was replaced, and finally in 2011 the yacht was given new anchor winch, genoa and lazy bag, and her engine underwent a thorough refitting. Nothing was overlooked. Even her original cotton cushions have been replaced with blue microfiber cushions, for a stylish look and greater ease of maintenance.